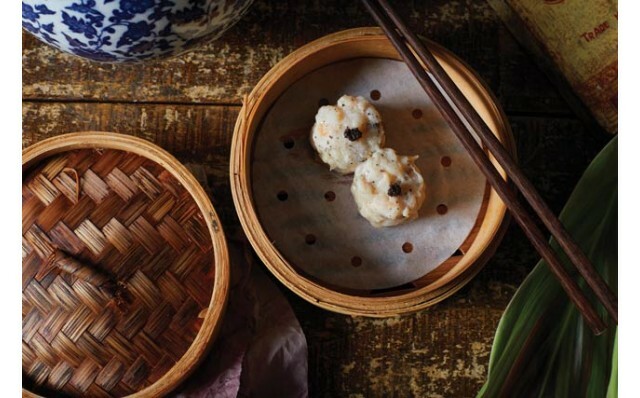 After a while living in Hong Kong, some rather special things can become taken for granted, such as just how spoilt for choice the city is in its fine dining options. 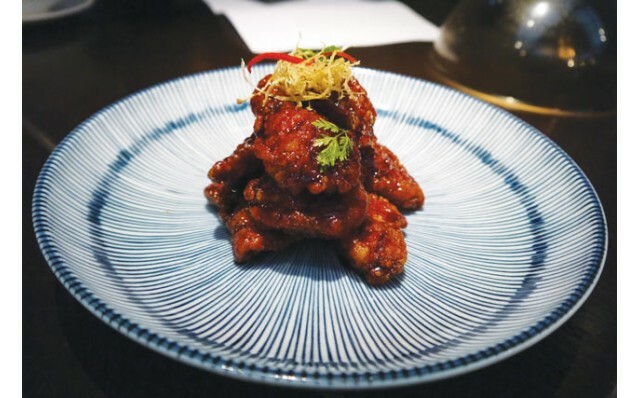 A visit to Mott 32 though, an upscale dining hotspot in Central serving Cantonese cuisine with a modern touch, is a refreshing and rewarding jolt to that complacency. 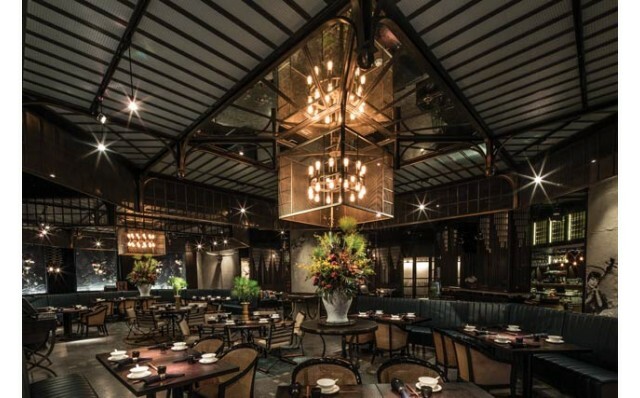 Since it opened a few years ago, Mott 32 – the name is a nod to the first Chinese convenience store on Mott Street in New York City’s China Town – has attracted the city’s business and social elite, garnering coveted dining awards along the way. The glitzy restaurant, located in the basement of a bank building, exudes an air of opulence upon entry, with a cadre of hostesses to welcome the guests. The large space is stark and striking, the décor a blend of New York industrial and a modern interpretation of Chinese imperial, fittingly for a basement. 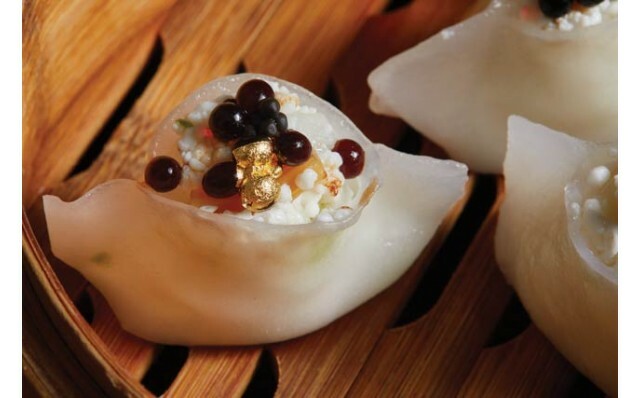 Mott 32 serves principally Cantonese cuisine, including its prized dim sum dishes, augmented by a complement of classic Sichuan and Beijing fare. 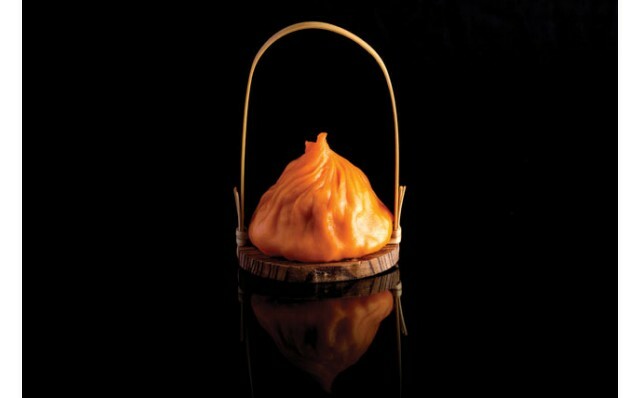 Under Chef Lee Man Sing, the restaurant combines traditional Chinese cooking methods with an intense emphasis on choosing and sourcing quality ingredients from the world over to create unique, contemporary dishes. 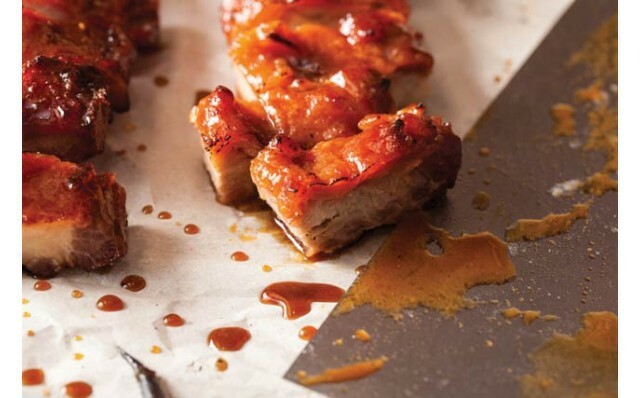 For our lunch visit, we were served a combination of dim sum and Cantonese dishes, including its signature char siu, the Barbecue Pluma Iberico Pork, Yellow Mountain Honey (HK$295, limited daily), which is every bit as good as advertised – the sweet, tender and succulent pork practically melting in the mouth. A smattering of dim sum dishes followed: Hot & Sour Iberico Pork Shanghainese Soup Dumplings (HK$95/4 pcs) – a twist on the traditional xiaolongbao, filled with a spicy sauce, Soft Quail Egg, Iberico Pork, Black Truffle Siu Mai (HK$70/2 pcs), South Australian Scallop, Garoupa, Caviar & Gold Leaf, Egg White Dumpling (HK$95/3 pcs), and Australian Wagyu Beef Puff (HK$75/3 pcs). These dishes all tasted excellent, their ingredients a perfect expression of Mott 32’s emphasis on ingredient selection. To wrap up the meal we were served Prawn, Crispy Rice Paper, Asparagus (HK$115), Homemade Cold Tofu, Beancurd Skin, Black Bean, Chili Sauce (HK$105), and Signature Smoked Black Cod (HK$260). The wonderful thing about dim sum is that it allows the sampling of so many dishes, each a bit different, and all tasty. Like a kid in a candy shop, we were spoilt for choice. We finished our meal with a dessert, Glutinous Pancake, Green Tea, Cashew Nut (HK$80/4 pcs), by which time we were fully sated. If you wish to top off your visit to Hong Kong with a special meal, a visit to Mott 32 could be just the ticket.